It was a Sunday morning—Easter morning—in Blount, Tennessee. Lance Coleman, Blount County Emergency Management Director, was visiting with family when he received a phone call—the type of phone call any emergency manager would dread. A citizen of Blount County, a 77-year-old dementia patient, was missing. The man’s wife contacted the Blount County emergency dispatcher’s office shortly after 12:05 a.m. that morning to report that her husband had wandered out of the home in his pajamas and that she had not been able to locate him. The call initiated a seven-hour search for the man that encompassed a four to five-mile radius, thanks to the efforts of the County’s emergency response personnel, the Blount County Sheriff’s Office, and the County’s administrative leadership. After being told of the search efforts that Easter morning, Coleman immediately got into his car and drove an hour and a half to Blount County’s administrative offices where the dedicated, collaborative search was ongoing for the missing resident. Coleman then sought out Blount County Sheriff’s Office Chief Deputy Jeff French. Coleman asked French a question that would end up being pivotal in the efforts to reunite the missing resident with his family: Do you need us to use the IPAWS emergency notification system to notify residents about the search and help bring the man home? IPAWS is the Federal Emergency Management Agency’s (FEMA) Integrated Public Alert Warning System, a tool that leverages the nation’s most expansive and effective alert channels for emergency notifications. About seven months before the Easter Day missing person search effort, Blount County partnered with CivicReady® to implement the IPAWS system for use by its emergency management department in times of local crisis. The decision to select an authorized IPAWS software partner and implement the system was part of the County’s efforts to ensure it has tools in place to keep its citizens safe. “The process to identify and select an IPAWS administrative partner took about eight months,” said Coleman. The process not only involved contracting with CivicReady for access to the IPAWS system and implementation support but obtaining a memorandum of understanding with FEMA. By the morning of the Blount County missing persons search, Coleman and his team had tested the IPAWS system in the past but had not yet needed to use it in live mode to issue a public emergency alert. In collaboration with French, Blount County Sheriff’s Office Patrol Captain Jeff Clark, the Emergency Management Department’s Assistant Director, Stephen Cardwell, and County Mayor Ed Mitchell, the decision was made to issue an IPAWS public alert. Coleman is one of only two individuals who can access the County’s IPAWS account to create and send alerts. The other staff member with access is Cardwell. Also, there are only three individuals who can sign off on a live message before it is issued: French, Mayor Mitchell, and Blount County Sheriff James Lee Berrong. It took Coleman and his collaborative team only a few minutes to craft the message using the IPAWS system. About five seconds later, at 7:58 a.m., the message, was broadcast via FEMA’s wireless emergency alert (WEA) system to all cell phones with reception to cell towers within the designated 8-mile radius. Three minutes after the alert was sent, Coleman called his emergency dispatch office to notify the staff that an IPAWS alert had been issued. It was reported that the neighbor received the IPAWS alert on his cell phone and, to help the search, decided to check the area around his property before getting coffee and heading to Easter morning services. In the process of doing so, the neighbor found the missing man laying down in the tree line in the back of his property. At 8:20 a.m., 22 minutes after the initial missing person message was broadcast, Coleman issued another notification to the same 8-mile area to let residents and travelers know that the missing man had been found safely. While the Easter Day search reinforced to Coleman and his team that the IPAWS system can be a vital component of the County’s emergency response efforts, Coleman and his team are dedicated to continual improvements to ensure the safety of their citizens. For that reason, after the safe return of the missing resident, Coleman immediately went back to the IPAWS policies and procedures he and his team formed during the implementation process to further refine, simplify, and enhance them. “We reviewed everything to determine how to make the process even more efficient now that we had experienced a real-life emergency notification scenario,” said Coleman. When the County initially implemented IPAWS, Coleman worked over a two-day period with Blount County General Services Director and Townsend Area Volunteer Fire Department Chief Don Stallions to develop a comprehensive, three-page procedure guide. The guide was proactively created so that when the County did eventually need to utilize the IPAWS system, it would be ready to execute its notification accurately and promptly—a planning process that proved effective that Easter Sunday. The Blount County IPAWS procedure manual was created based on a template Coleman received from FEMA that was tailored to fit the County’s needs. “Even though it’s a system we hope to use as infrequently as possible, we need to be sure we are using it as effectively as possible,” said Coleman. According to Coleman, the safe return of the missing resident was accomplished only through the team efforts of the Blount County Emergency Management Office, Sherriff’s Office, and the Mayor’s Office—and with the help of IPAWS. Coleman stated that not only was the implementation of IPAWS an effective, proactive safety decision for the County, CivicReady was the right partner to choose for system access and deployment. 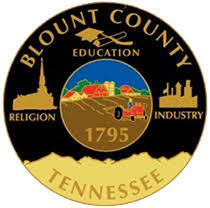 Since the successful use of the IPAWS system on Easter Day, Blount County has since signed up to utilize the full capabilities of the CivicReady solution, which, in addition to IPAWS access, provides the ability to send routine and emergency notifications to subscribed citizens via text/SMS message, email, and voicemail. For now, looking back on the events that transpired on Easter morning, Coleman can breathe a sigh of relief. 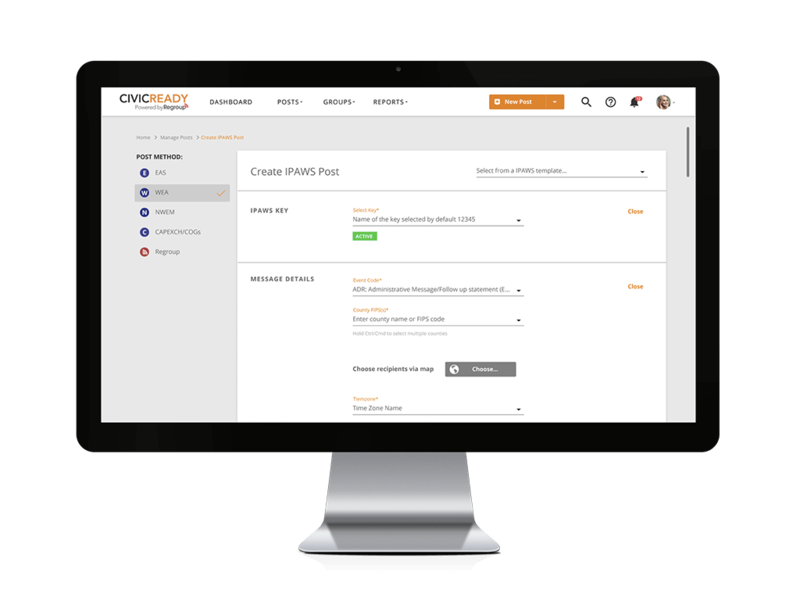 If you'd like to learn more about how to keep your citizens safe with IPAWS and CivicReady, click below to download our IPAWS fact sheet.